What's wrong with my cake? Have you ever meticulously followed a recipe, only for your cake to come out of the oven under-baked, burnt, flat-as-a-pancake, sunken or cracked? Baking is a scientific process and much can go wrong, but if you're armed with my tips and tricks you can make a perfect cake. Here are cake disasters we've all encountered... and how to avoid them. "Why does my cake taste like a brick?" If your cake is hard, the problem probably lies in the beating. The butter must be beaten well in the early stages to give the mixture enough air for a light and fluffy texture. To achieve this the butter must be lukewarm and therefore not too hard. Watch the video for Mary Berry's foolproof way of achieving the right temperature. Mary Berry has a foolproof way of softening butter. If you end up with a flat cake, there are a few possible causes. Overbeating the flour will overwork its gluten, so fold in dry ingredients with a light hand. Remember to add the raising agent – self-raising flour already contains this, but if you use any other flour you need to mix in baking powder. If you add baking powder and still end up with a flat cake, check the best before date. Add eggs and other liquids to the mixture slowly to avoid curdling, which can cause heaviness and a flat cake. It is crucial to preheat the oven and to get your cake into it as soon as the dry and wet ingredients are mixed together. This means the raising agent will react with the mixture at the right time for a good, even rise. If your cake sinks, it could be a sign that you've been impatient. To avoid a sunken cake, you need to resist the urge to open the oven door a long time before the cake is cooked. The bubbles inside the cake are expanding in the oven's heat, creating maximum volume as the batter reaches its setting point. If the temperature suddenly falls the cake will fall in the centre – the last area to set. Only after at least three-quarters of the cooking time can you start to check if the cake is cooked. Even then, you need to make sure it is fully baked before removing it from the oven, otherwise the middle could dip. Some ovens have a massive variation between the temperature at the top and bottom. Bake your cake on the middle shelf, where the temperature is most likely to be consistent. Too much baking powder can cause the cake to rise rapidly and crack. Always level off teaspoon measures of baking powder and bicarbonate of soda – a little extra can make a big difference. It's also important to use the cake tin size specified in the recipe. 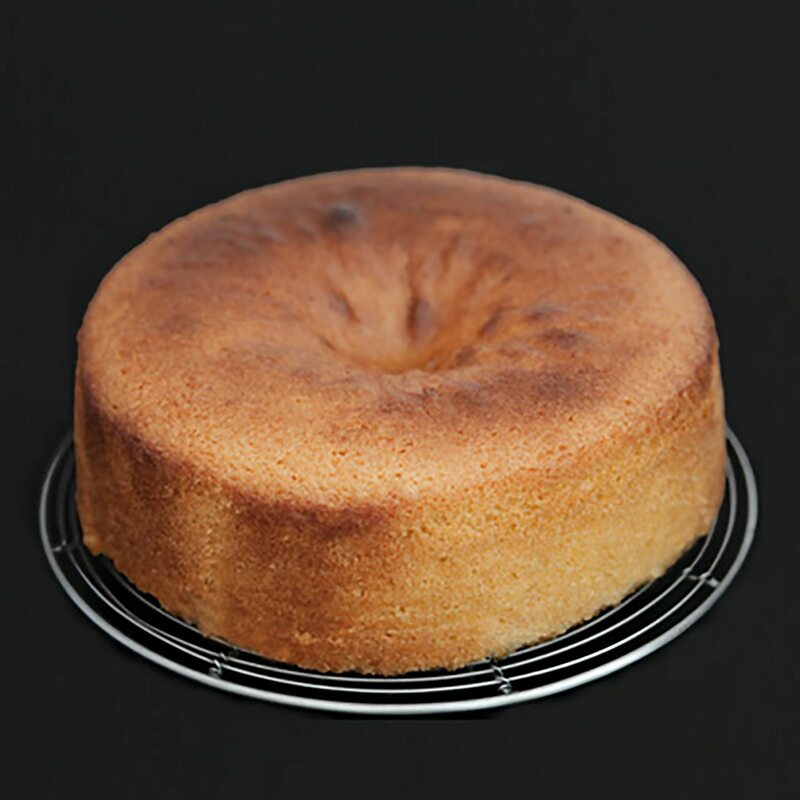 Too small a tin will mean the outside of your cake cooks faster than the inside, leading to a peak in the middle as the baking powder continues to work, cracking the top in the process. If your oven is too hot, the outside of your cake will bake much more quickly than the inside, leading to a peak or crack. The top of your cake may also get too dark. Oven thermostats can be wildly off, so if this often happens, invest in a separate oven thermometer. Bring moisture back to the cake with sugar syrup that permeates through the crumb. Cut the cake in half and fill it with cream. Use it for a trifle; the moisture in the other ingredients will seep through. 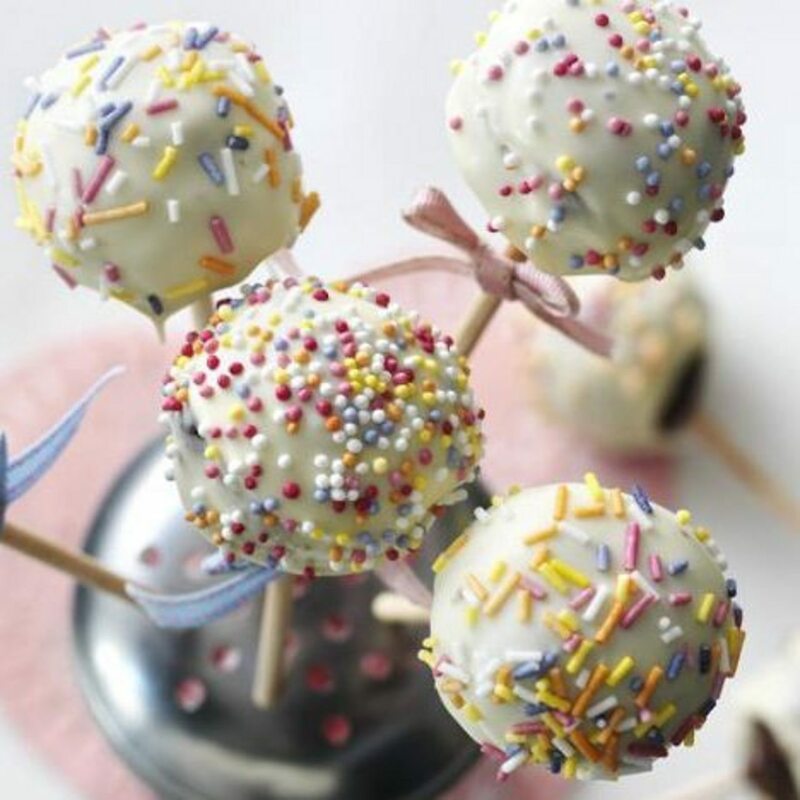 Create cake pops by mixing the dry cake crumbs with cream cheese or melted dark chocolate. Coat in more melted chocolate and decorate. 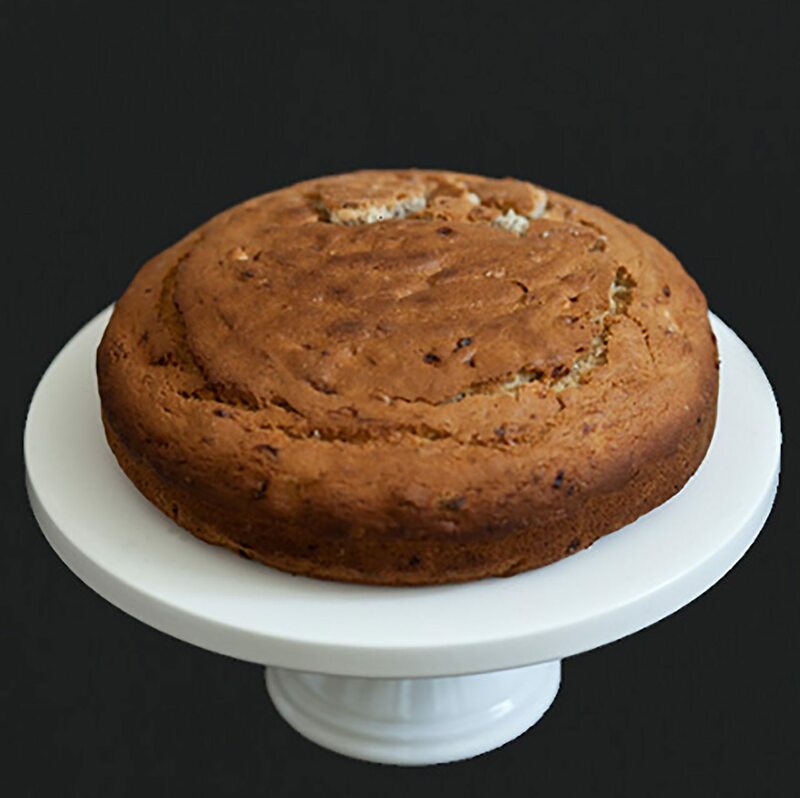 Large fruit cakes or moist carrot cakes can appear cooked on the outside but may still be under-baked in the middle. A recipe should give the correct oven temperature and timings, so follow it closely. Check your cake is cooked on the inside before you take it out of the oven. For large, moist cakes, you can do this by inserting a skewer or strand of uncooked spaghetti in, to see whether any wet mixture is stuck to it when you pull it out. If your oven is too hot it will overcook the outside before the inside is done. If the baking time is longer than an hour, use foil to cover the cake when it is the colour you want, then continue baking until cooked through. Don’t be tempted to take the cake out of then oven just because it looks good. 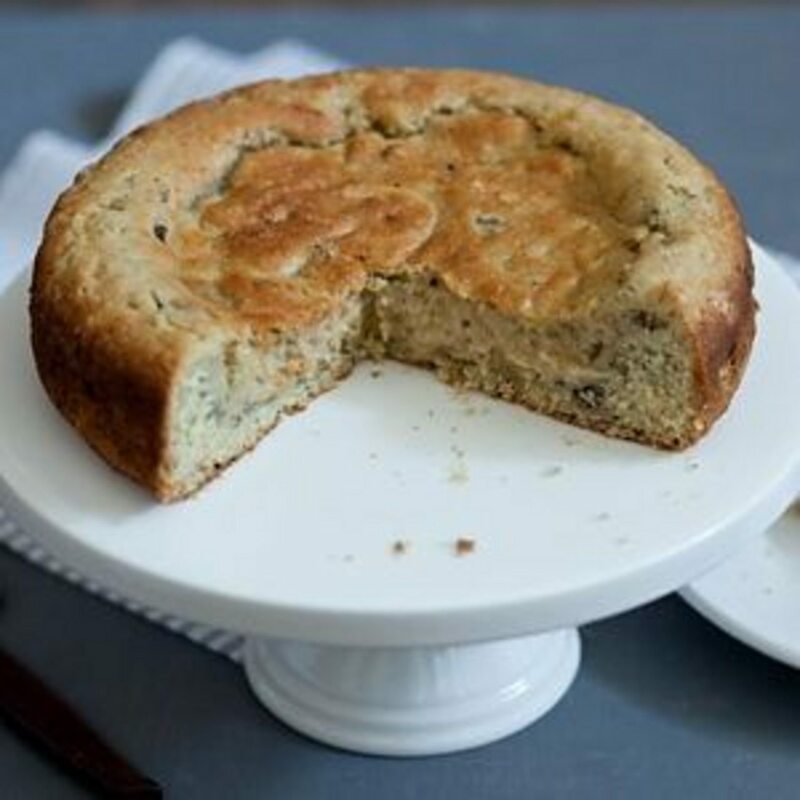 When a cake is cooked through, it will start to shrink away from the sides of the tin, and when you press your finger into the top it will spring back. Mary Berry shows you what to look for in this video. Mary Berry shows you how to test if a cake is cooked. When you remove a cake from the oven, leave it in its tin for 10 minutes. Next, run a palette knife around the outside of the cake to detach it from the tin. 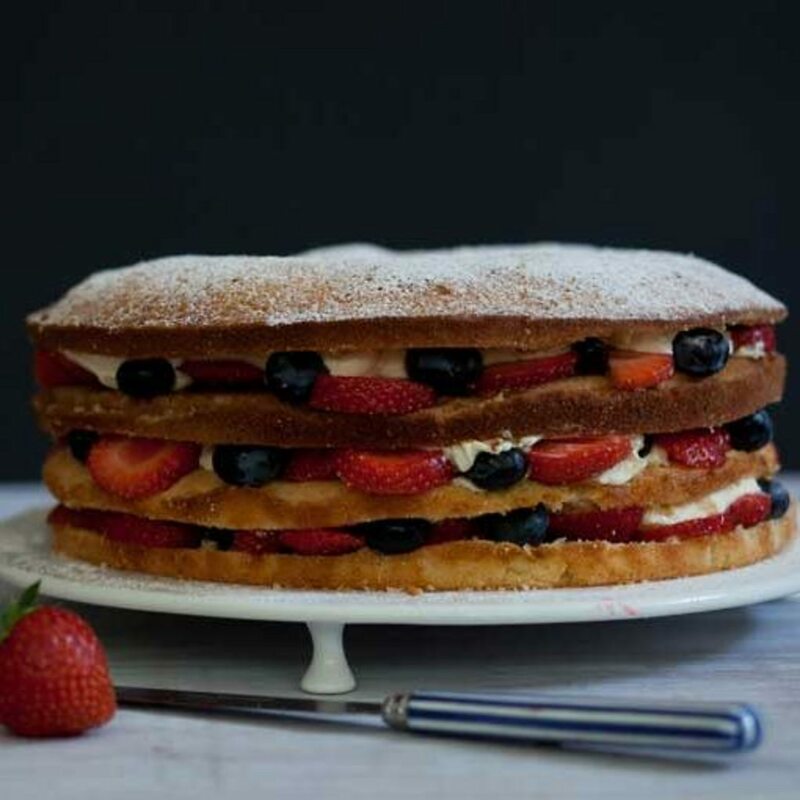 Put a clean, thick tea-towel over the tin and tip the cake out onto your hand. Pull the tin away and then remove the baking paper. Mary Berry shows you how in this video. Mary Berry shows you how to remove cakes from their tins. 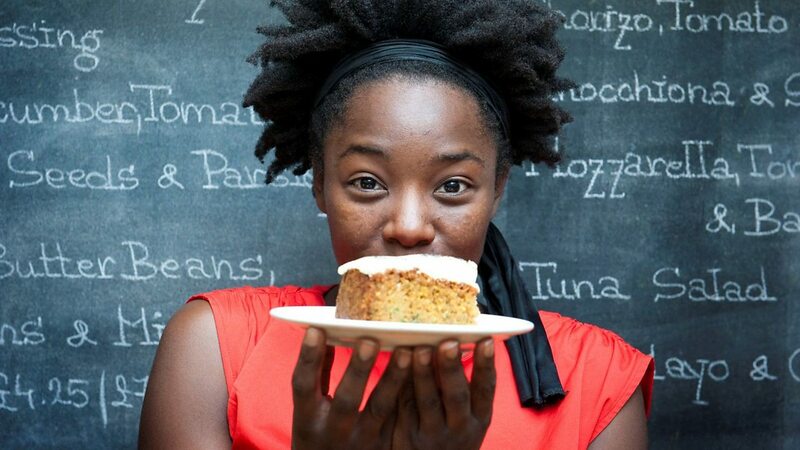 Can you bake a delicious cake without sugar? Discover the best alternatives to sugar when baking a cake. Getting kids to cook can teach them English, maths, science, nutrition and French skills when having fun. What makes a great packed lunch? Kids' packed lunches can be full of hidden and not-so-hidden unhealthy foods. Time to think outside the box. Cakes with no eggs, dairy or honey. Chocolate cake, banana bread and cupcakes are yours. From classic chocolate to ambitious passion fruit we have all the gluten-free recipes for your cake needs!